Grow your own fresh and healthy organic vegetables. Organic Vegetable Gardening is the best way to grow some of your favourite vegetables and herbs at home. You don’t need a huge backyard to grow a vegetable garden. Find a sunny spot in your yard or on your balcony and you are ready to get started. If you’re a beginner vegetable gardener, here are some basics on organic vegetable gardening: site selection, plot size, which vegetables to grow and other gardening tips. Know your soil. Most soil can be enriched with compost and be fine for planting, but some soil needs more help. 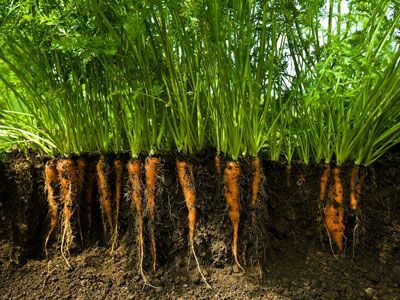 Vegetables must have good, loamy, well-drained soil. Check with your local nursery about free soil test kits or buy your own so that you can understand your soil type and PH. Decide between tilling and a raised bed. If you have poor soil or a bad back, a raised bed offers many benefits. Vegetables need lots of water, at least 1 inch of water a week. Study those seed catalogues and order early or check out what’s available in punnets from your local nursery. 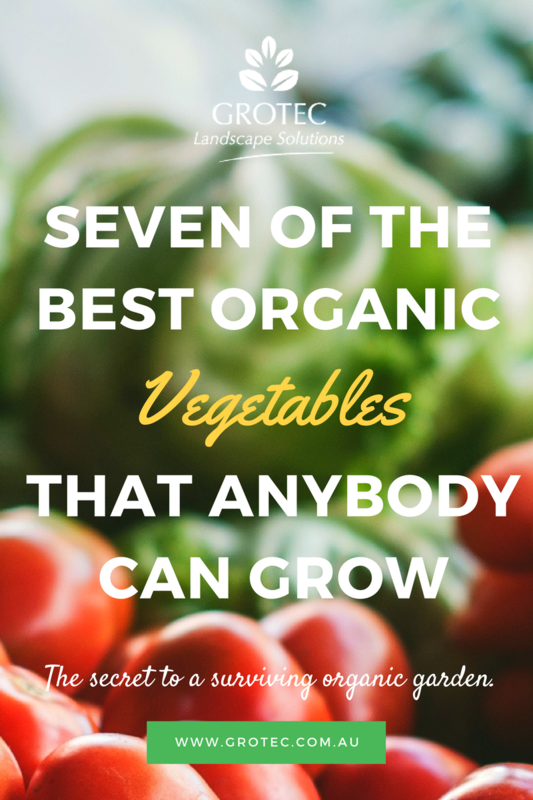 Deciding how big you want your Organic Vegetable Garden to be? A good-size beginner vegetable garden is about 5 x 3 meters or 16 x 10 feet and features crops that are easy to grow. A plot this size can feed a family of four for one summer, with a little extra for canning and freezing (or giving away). 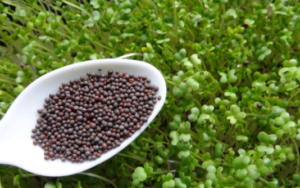 Here are seven easy vegetables to try in your organic garden. Why we love them: Easy to grow in containers or directly in the ground. Over 7,500 tomato varieties to try! What you get: The vitamins in tomatoes include A and C. Vitamin A is good for your eyes and Vitamin C helps the body fight infections. Tomatoes also contain lycopene, a substance said to help reduce the risk of prostate cancer. Lycopene is more accessible to the body when consumed through cooked tomato products. In your garden: Plant tomatoes in rich well-drained soil in full sun, allowing 1 meter or 3 feet or more between plants for good air circulation. Mulch with straw in a wide band around the plants to provide consistent moisture over the growing season and suppress weeds. 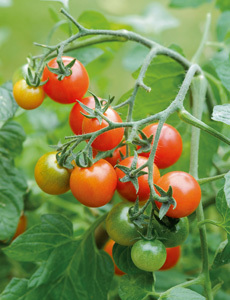 Tomatoes have extensive root systems and should be watered deeply and often in the first month or two. As fruit begins to ripen, irrigate less often. Prune non-fruit bearing branches to encourage more tomatoes to develop and grow. Why we love them: Green beans are a healthy summer favourite, both for their fresh crunch and flavour. They also add a bright shot of green to your dinner plate. What you get: Green beans provide a bounty of nutrients: vitamins A, C and K, manganese, potassium, folate and iron, as well as fibre. Why we love them: Beets are an earthy, sweet treat. And don’t forget to eat the beet greens too—baby ones are delicious raw in a salad; cook more mature ones as you would chard or kale. What you get: 1/2 cup of cooked beets has a mere 29 calories but boasts 2 grams of fibre and provides 19 percent of the daily value for folate, a B vitamin needed for the growth of healthy new cells. Beets’ beautiful colour comes from betanin, a phytochemical that’s thought to bolster immunity. Why we love them: Carrots are a perennial favourite—delicious raw or cooked, and they can be prepared in many ways. What you get: The pigment that makes carrots orange—beta carotene—is the same compound the body converts to vitamin A, a vitamin essential for vision, healthy skin and the immune system. Why we love them: Cucumbers are a tasty addition to salads, add crunch to your crudités plate and even taste good cooked. What you get: While the cucumber isn’t known as a nutrition powerhouse, it does offer refreshment: at 95 percent water content, a cup of cucumber slices is nearly as thirst-quenching as a glass of water. Organic Vegetable Gardening is simple once you know how! Choose your five favourite vegetables, a sunny place, and you are ready to get started. Keep it simple, and build on your success each garden season. You can always try something new or different in your next vegetable gardening adventure.